A set of 4 20+oz Bullet Jet Heads in assorted colors. 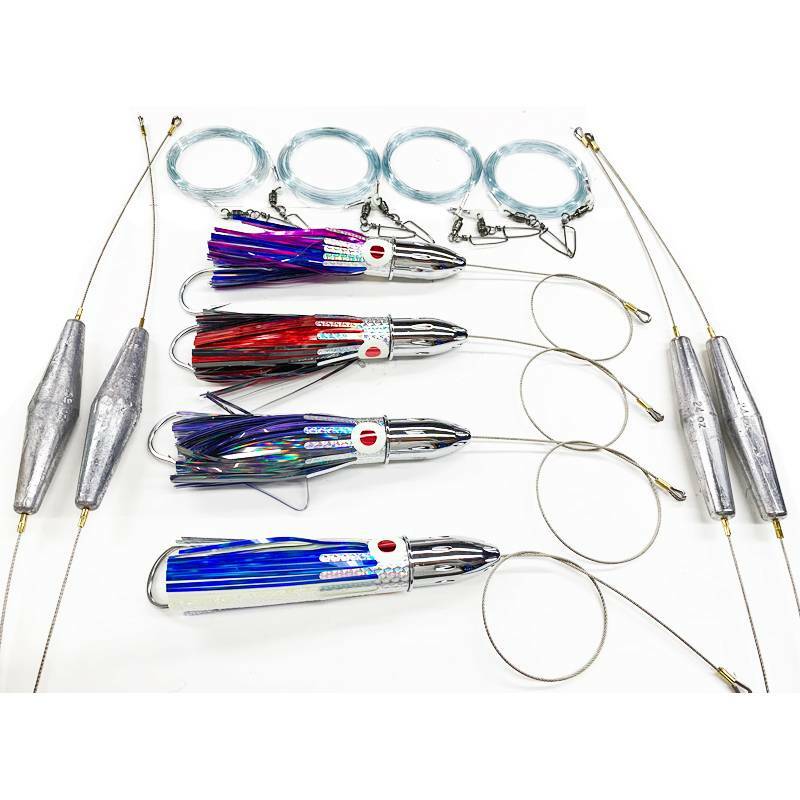 Each rigged with a Stainless hook, stiff rigged with heavy heat shrink tubing and 24" of 600lb test stainless cable and finished with a stainless thimble.Each lure is 9" long. Comes with a 4 20ft 200lb test shock leader with 250lb BB Snap Swivels on each end. 2 24oz and 2 34oz trolling weights rigged with 600lb test cable and stainless thimbles. All in a roll-up storage bag. Whether standard trolling speeds or higher when running to and from the grounds this package will catch Wahoo if their around'.